Y’all, what is happening? Its like I blink and summer is half over. I know today is TECHNICALLY the first day of summer, but as a parent, I count the first day of summer as the first day my kids get out of school for vacation and that was a month ago. A FULL MONTH AGO. That means July 4th is coming up and its one of my favorite times of the year. Cooking and crafting and family and everything is red, white, and blue! As a former military family we are all things patriotic, so it warms my heart to bring you a totally fun, totally America-friendly red, white, and blue cupcake! Now you may be saying…Trisha, this looks so familiar. 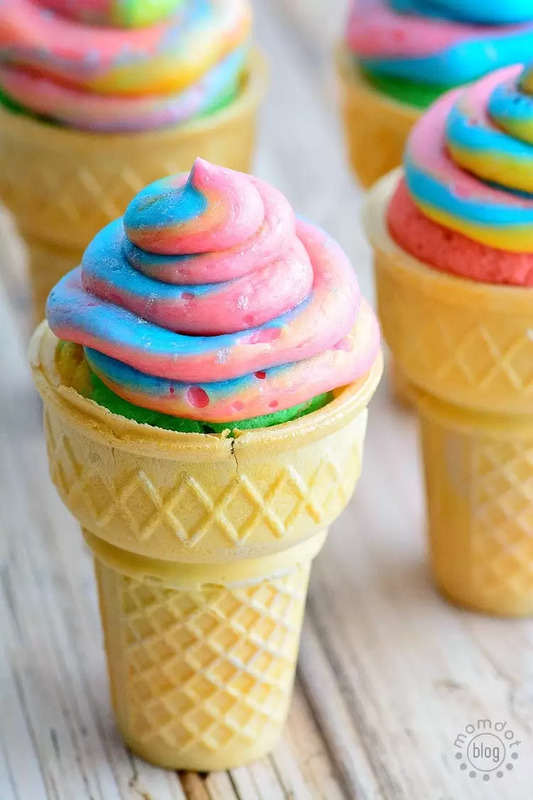 This is fashioned off of the same unicorn poop cupcake idea, with a gorgeous mixture of colors all slammed into the best cupcake cone on the block. Combine your cake mix, water, eggs and oil into a bowl and mix until together. Then add into an electric mixer for 2 minutes on medium. Add red, and blue food coloring separately to each bowl, as well as keep one white by itself, to create 3 different batter colors. Alternate batter colors into each cone until you have about 1 inch room left from top, which allows for the cupcake to bake up. Add your butter into your mixer on medium until it’s fluffy. Then add your vanilla, milk, and sugar. Separate your frosting into diff bowls and tint the colors you are going for. I used red, blue, and the original white. Fill your 3 piping bags and cut off tip of each one. Attach a circle tip #1A to a separate bag with a coupler on the end and cut. 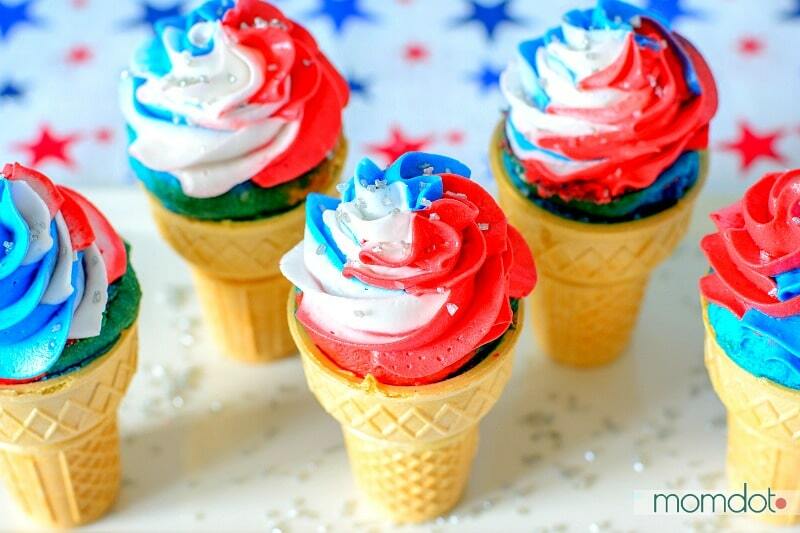 Swirl and Frost cupcakes into your Patriotic Cupcake! We used this Wilton Icing Holder to hold the cupcakes steady- perfect size! Love these? Make sure you check out the Unicorn Poop Cupcakes before you go!